One top academic explains why employers shouldn't write off a candidate with one key weakness. There’s one issue that perennially sits near the top of CEO challenges — ensuring that organizations have the talent pool required to achieve strategic objectives, both today and tomorrow. While the link may not seem immediately obvious, companies can actually build healthy leadership pipelines by thinking about them in the same way that energy firms think about building pipelines to carry oil to market. If you want to do it right, the mind-set and approach are largely the same since both types of pipelines are long-term, mission-critical infrastructure projects that require time, attention — and a significant commitment of financial resources. The good news is that many organizations follow this line of reasoning. 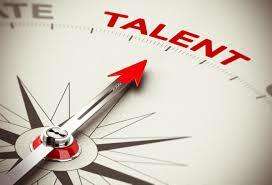 They have well-developed systems and diagnostics for identifying high-potential employees. And most do a decent job moving talent through the development process, whether that be through progressively increasing roles and responsibilities, “stretch” assignments, rotations through different parts of the business, coaching and mentoring programs, and/or carefully timed development initiatives such as attending the kinds of executive education programs offered by the Ivey Business School. The acceptance of leadership pipeline thinking reflects another trend that I have observed over the years in discussing talent development with corporate leaders: the growing importance of the HR function. Simply put, HR personnel — typically the “engineers” responsible for design–build–operate activities around leadership pipeline management — are increasingly seen as business partners. In many companies, of course, HR leaders are active members of the senior leadership team, right up there with COOs and CFOs. And that leads us to a troubling observation: When it comes to what constitutes the right product for leadership pipelines, the traditional HR world and the traditional C-suite sometimes have somewhat conflicting perspectives. The HR world tends to have a preference for so-called all-rounders, meaning individuals who score relatively well across a range of competencies deemed necessary to successfully lead and grow businesses. As a result, many HR departments focus executive development plans on individuals with limited weaknesses — weaknesses that can be fairly easily “rounded off” or fairly easily trained away. The logic behind this “plug the gaps” mindset appears sound, since people who are relatively decent at everything will become somewhat better at everything when weak areas are addressed over time via mentoring and training. But this reasoning can eliminate leadership candidates with one or two significant soft spots even when they are clearly overweight talent in other areas. And that’s not something that everyone on the executive floor necessarily accepts. Now, as someone involved in executive education, I think all weaknesses can be addressed, at least to some degree, so it makes little sense to live with them simply because you excel in other areas. In other words, I think everyone needs to be open to some gap-filling. That said, the HR world needs to be more open to the “magnify the strengths” mindset, and not just because more than a few leaders create value very well despite having clearly identifiable talent gaps. There is actually an emerging body of evidence that suggests that managers who are exceptional in key areas and weak in others have a much greater impact on corporate performance than individuals who are exceptionally well rounded. Much more research in this area needs to be done, and I doubt there will ever be a definitive universal answer when it comes to what competencies drive growth the most, since growth strategies vary from industry to industry and region to region, not to mention evolve over time. Nevertheless, the existing work indicates that having an executive team with some distinct capability “spikes” rather than smooth across-the-board capabilities can make a significant difference to business performance. As a result, when selecting the product for leadership pipelines, it is important for the HR world to consider — not reject out of hand — individuals with a distinctly uneven capability profile, especially when those distinctive capabilities are ones that are likely to be key performance drivers for the business. In other words, mind the talent spikes, not the gaps. Tony S. Frost is Associate Professor of Strategy & International Business and Faculty Director of Executive Education at Ivey Business School at Western University in London, Ontario.